Makeup and beauty !!! 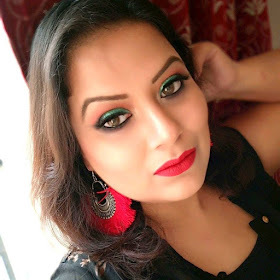 : Rimmel London in Hot & Spicy Swatches ! Rimmel London in Hot & Spicy Swatches ! Quick dry,Long lasting are some of the Pros of this Nail paints. I hope you all will like it my short and Quick review. Do you have any shade of this brand??? The shade is hot hot hot!! Oh really??? Great...coz the shade is awesome !